Graduate II Apartments are located at the eastern edge of the University of Florida campus and offer 2-bedroom apartment homes to students in Gainesville, Florida. 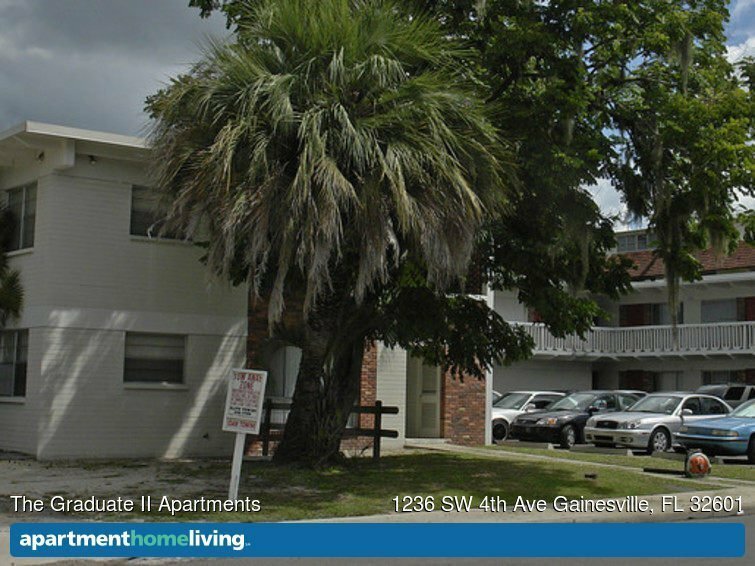 Students of the University of Florida looking for an apartment close to their classes will find the Graduate II Apartments in Gainesville, Florida the perfect choice. Located right on the eastern edge of campus, residents can walk across the street and in 3 minutes arrive at their class in Tigert Hall. For those who are pursuing the arts, the Architecture and Fine Arts Library is only a 5-minute walk from the community. All other areas of campus are highly accessible as well, with the Levin School of Law on the far western edge of campus only 24 minutes on the 5 bus or 30 minutes on foot. Regardless of where residents’ classes are, they will find Graduate II Apartments convenient. When classes are done for the day, residents of Graduate II Apartments will find that they live close to a wide variety of entertainment options. West University Avenue, a popular spot for nightlife and dining, is just a short distance away. Residents can meet their friends at Chipotle for some organic Mexican fare in just a 9-minute walk, or in just a short walk further, they can grab Italian cuisine at Leonardo’s By the Slice. For more lively options, residents can walk under 20 minutes or take the 10 bus to reach downtown Gainesville. Live music and drinks, as well as dancing with friends, await visitors of the High Dive and Rockey’s Dueling Piano Bar. Both are high-rated local favorites, and there are plenty more options to suit anyone in the downtown area. Art enthusiasts will also be right at home as there are many cultural attractions close to Graduate II Apartments. The Bo Diddley Plaza which features live outdoor music performances is less than 20 minutes away on foot. In the same area, residents can take in the latest art exhibits at the Artisan’s Guild Gallery. If film and performances are desired, the Hippodrome State Theater is near the Artisan’s Guild Gallery and displays indie films, hosts plays and offers an art gallery to its visitors. Graduate II Apartments are an excellent option for students who desire ease of access to both classes and other activities. Residents who desire a social life will never lack for options for entertainment, and those who prefer to engage in cultural events will thrive in its artistic community setting.